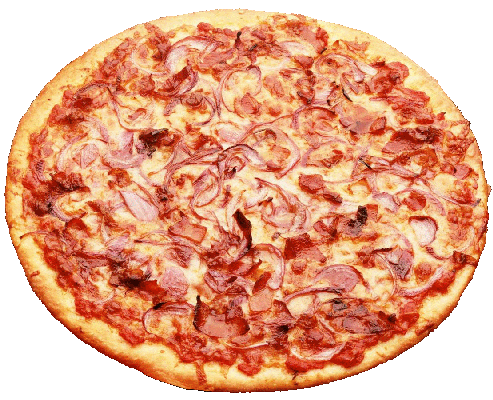 "ALL ABOUT FULL CIRCLE PIZZA BUCKS"
Full Circle Pizza Bucks* are coupons that are randomly won by our customers who have entered the monthly Full Circle Pizza Bucks drawing. They can be used just like cash at our restaurant to purchase any of our delicious food! If you'd like a chance to win Full Circle Pizza Bucks you need to click here and enter our monthly drawing! Once you enter the drawing you will be eligible to win Full Circle Pizza Bucks each and every month. No need to keep re-entering! Once entered you'll begin receiving informative emails so you'll be the first to know about any new specials and promotions taking place at Full Circle Pizza. You'll also receive valuable coupons by email that aren't available anywhere else! So don't wait. Enter the monthly Full Circle Pizza Bucks drawing today and you could be the next Full Circle Pizza Bucks winner! *Full Circle Pizza Bucks are coupons. They have no actual cash value. They cannot be combined with any other coupon or offer. They can only be used on orders with a total that is larger than the face value of the Full Circle Pizza Bucks you are attempting to redeem. No change will be issued for Full Circle Pizza Bucks. Customer is responsible for all taxes. Full Circle Pizza Bucks are only valid for use on Carry Out or Dine In orders. They are NOT valid on delivery orders. Our drivers have been instructed NOT to accept Full Circle Pizza Bucks as a form of payment on delivery orders. Full Circle Pizza Bucks have an expiration date so be sure to use them prior to them expiring. Our cashiers will NOT accept expired Full Circle Pizza Bucks as a form of payment.